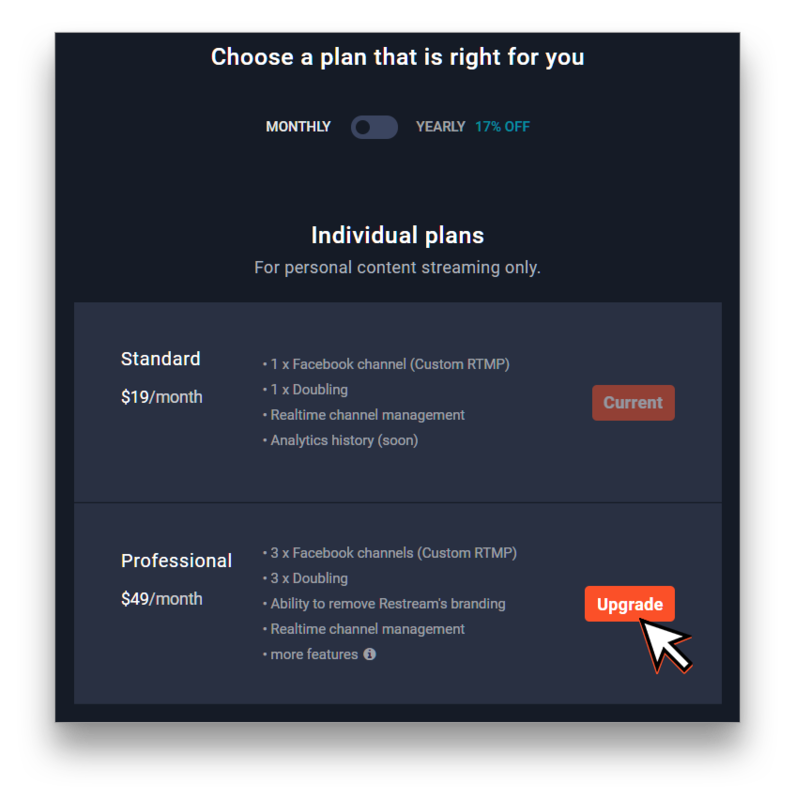 This easy guide will help you to understand how to manage your subscription plan and switch between them. 1. First of all, go to your dashboard and click on the button in the bottom left-hand corner of the screen. 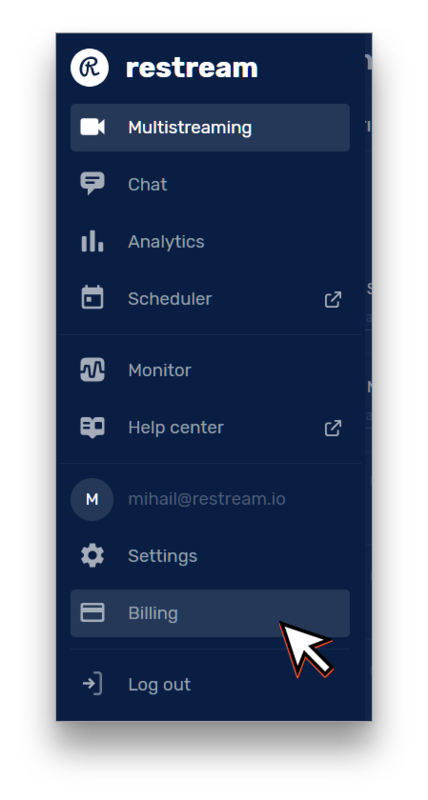 Then select billing section. 2. Billing. 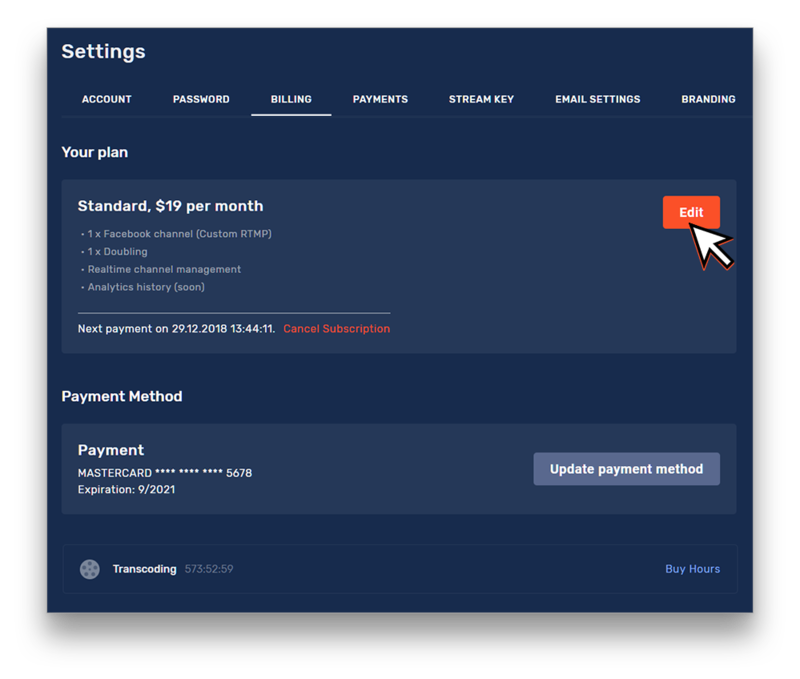 You can see your current active plan and the information - like 'payment period', 'included features' and 'next charge date' your account 'proration credits' balance, current payment method card and your ad-dons like Transcoding hours left. 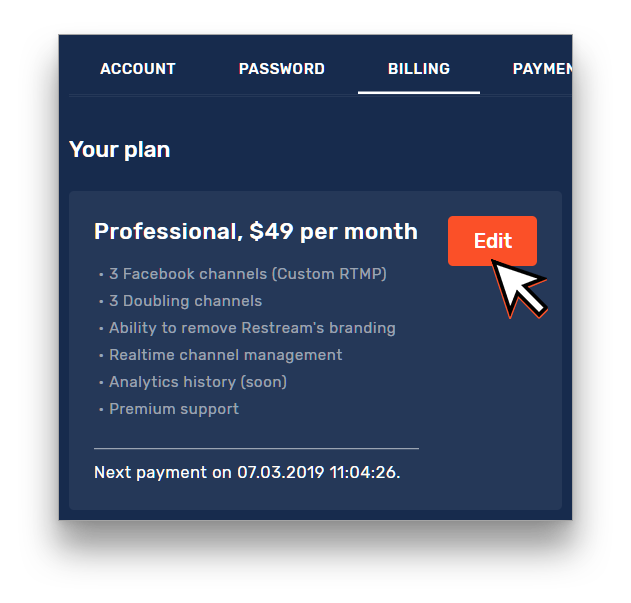 You can move to editing your plan by clicking on the 'Edit' button on your current subscription. Tip: You can also check what's the features can be included here. change a recurring type (monthly/yearly). 4. 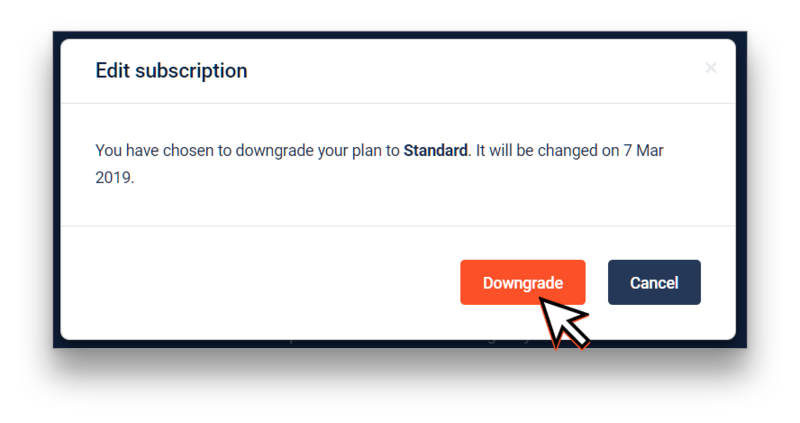 After you have decided on the changes you make, just click "Upgrade my plan" button to apply them and you are ready to go with all your new options. Important information! 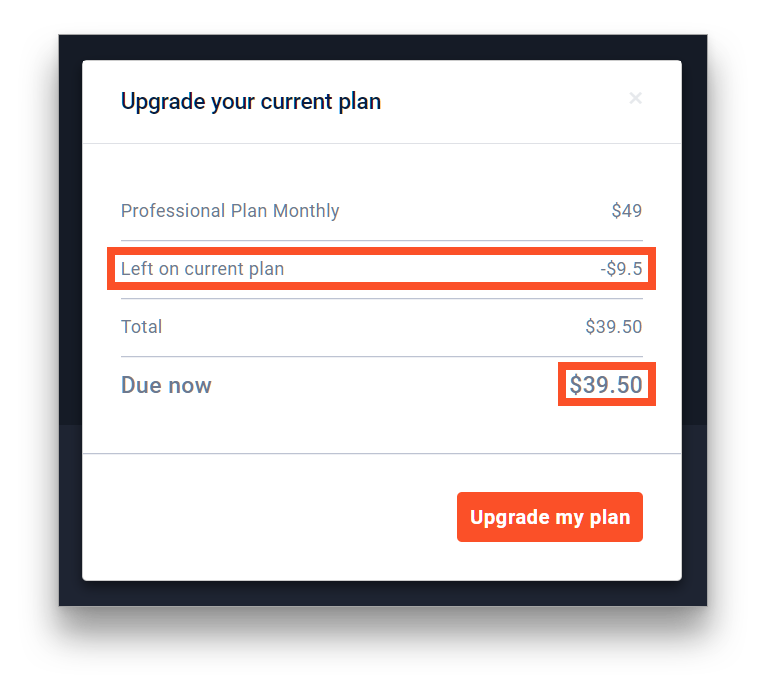 A lot of users ask what happens if they upgraded or downgraded their subscription, or changed monthly to yearly. Here is a brief explanation to make it simple. When you are making any the changes and save them - proration applies to it, so the system calculates the difference between your current plan and new one you switching to. That means that it calculates the difference in between the option you had with the time used on it and the new one, so it makes calculation regarding the price difference between those options. 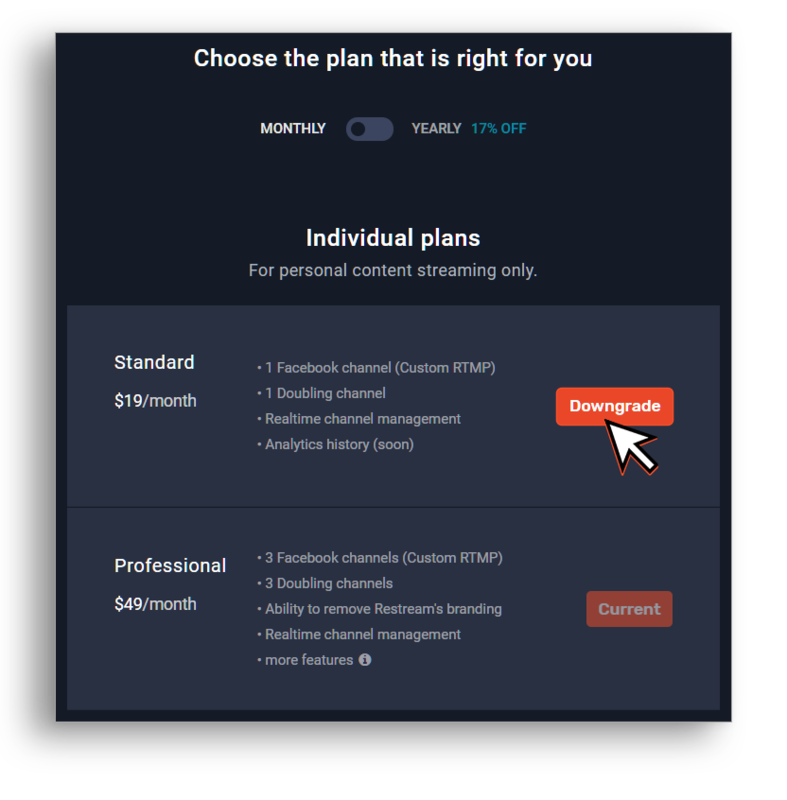 For example: If you change your $49 subscription plan you already paid and used for few days into $19 - you will not be charged now and even the next period, because the difference covers it, until the moment when the difference is not enough (you will be charged only for the amount needed). 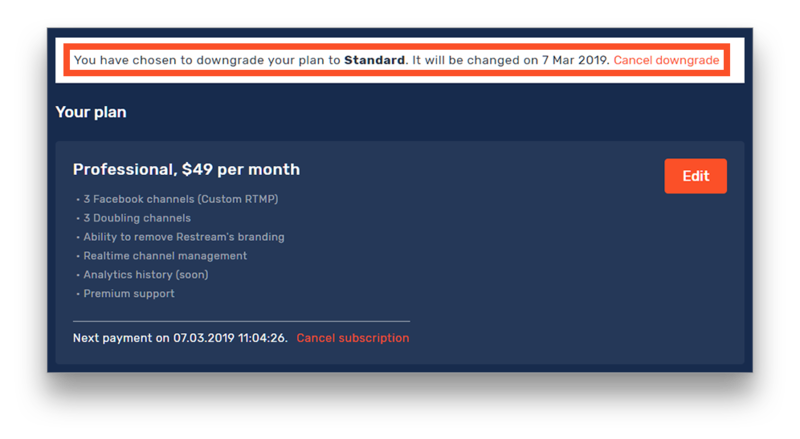 Or if you change your monthly $49 subscription into the yearly for $300 you will be charged with $251 because it is the price difference. You can see all the 'Poration' balance that will be applied or withdrawn from your account upon the edit confirmation. Important: If you upgrade a plan you will be charged right away for the sum to cover the current payment period or granted additional balance! 3. Select the plan you want to downgrade to. 4. Confirm your actions in the pop-up window. 5. You're now done. Note that your downgrade will be applied only after your current paid period ends.